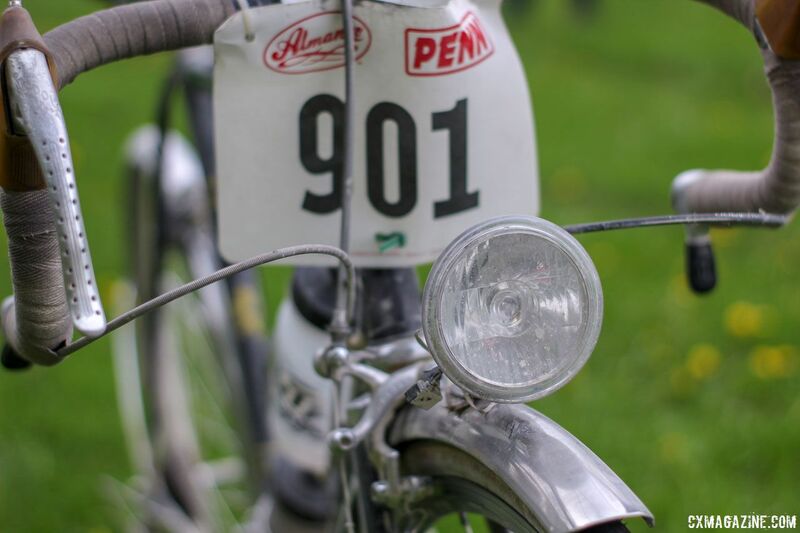 Inspiration for your next bike can come from a myriad of places. For some its the sweet rig your friend on the group ride has, for others it’s that really positive review you read, and for some, maybe it’s what your local dealer gives you the best deal on. For Matt Allen of Minneapolis, inspiration came from a bit of a different source. Someone else’s abandoned bike loss was Allen’s gain, after some work. “I had to take it apart, find a few parts, find the SunTour derailleurs and a few things to make it more my own. 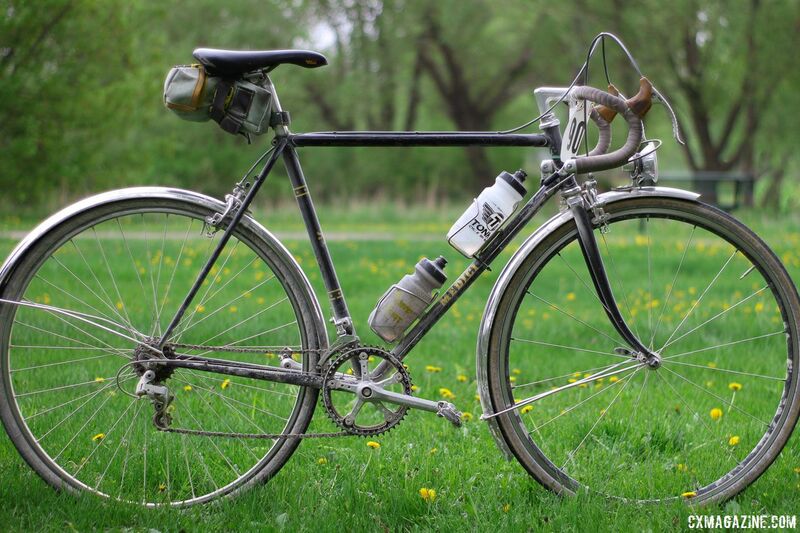 It’s a fun bike.” To his credit, Allen took on the project before reading our DIY steel gravel bike story, but it’s proof that the concept works and can survive a major gravel race. Despite its very Italian name, Medici was a California bike manufacturer founded in 1978 as a spin-off of Masi bikes. The company made steel road bikes into the 1990s when the company brand again changed to Simonetti. 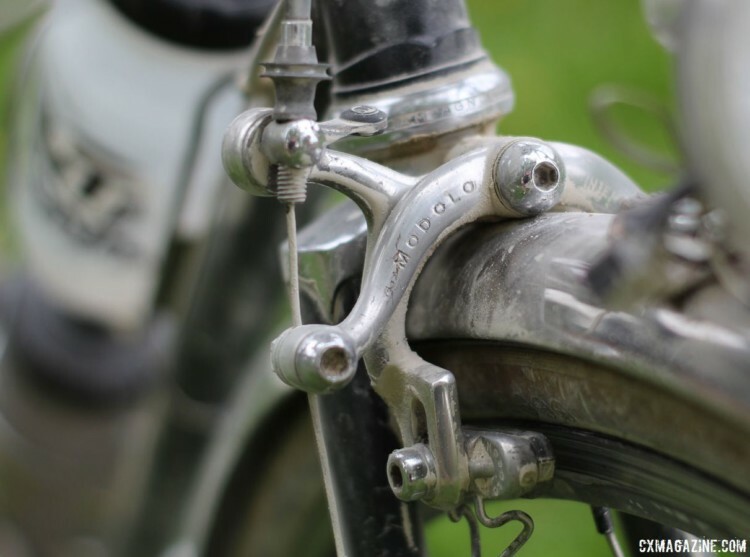 According to an archived 1984 catalog, the company’s bikes were made from double butted Columbus steel and included Campagnolo Super Record components as an homage to its Italian name. Allen’s project started with finding front and rear SunTour derailleurs to keep the bike properly retro. SunTour has not made bicycle components for two-plus decades now, so Allen had to do some work to find the proper parts. 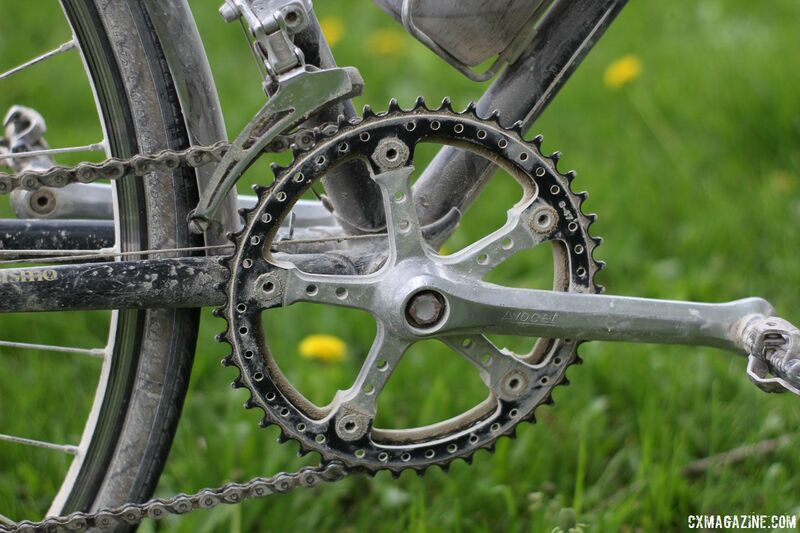 For gearing, Allen ran an Avocet Touring crankset, which is a triple model, with 47/41t chain rings and a heavy dose of drillium. 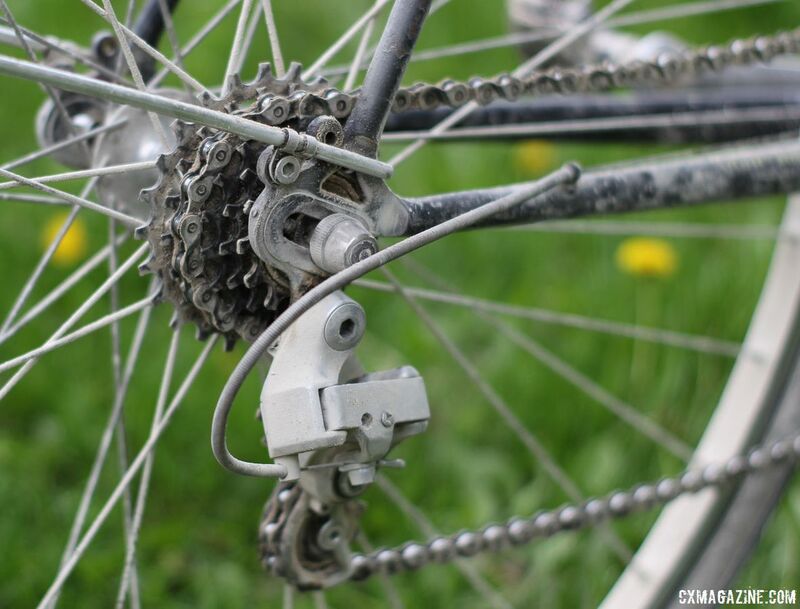 In the rear, he had a six-speed SunTour cassette with the SunTour derailleur he hunted down. The brake levers on Allen’s bike were from Italian brand Modolo with gum hoods and the shifters were bar-end barcons. Brakes on his bike were road calipers from the Italian company as well. 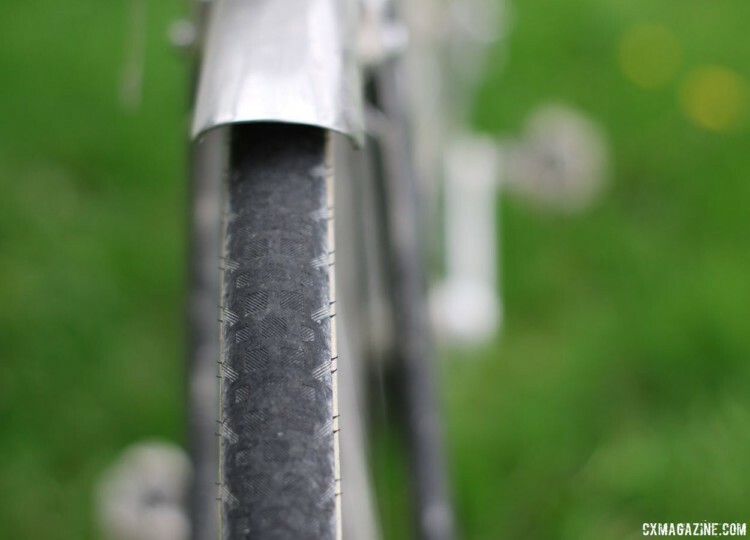 Allen’s treads were the Soma Vitesse smooth “tubular casing” gravel tires in what appears to be 28mm width. They were one of the most modern parts of his setup, especially given the recent trend toward tan sidewalls. Allen’s also added some features to help with his day job—and his gravel hobby. Front and rear fenders protect him from spray, and at Almanzo, they helped protect him and his riding mates from the loose rocks sent airborne in many parts of the course. Allen also had a dyno light mounted on the front—which might have come in handy at Trans Iowa—but he did not need it on the sunny Saturday in Minnesota. Allen completed his gravel rig with a saddle bag and two water bottle mounts on the down tube, one of which had a zip tie to help keep it secure. 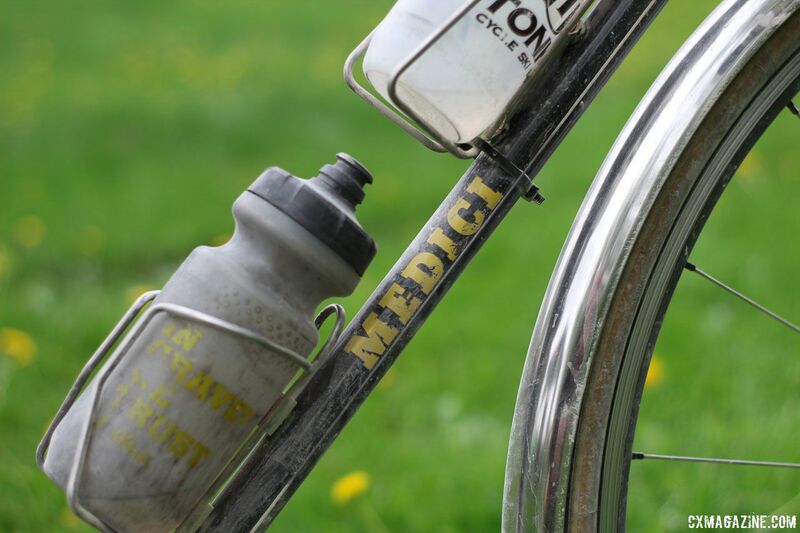 For more on Allen’s Almanzo 100 Medici Gran Turismo, see the specs and photo gallery below.